The Visiting Scholars Program was created by URA to help support visits by researchers from URA member institutions to work at Fermilab for up to one year. 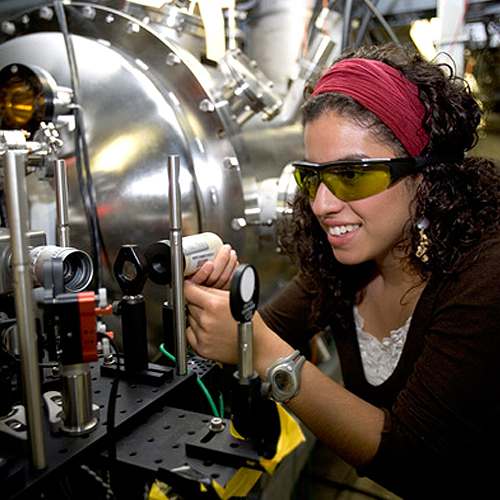 The program is available to graduate students, postdocs, or faculty involved in areas such as high energy physics, astrophysics, accelerator physics, materials science, and computer science in pursuits that align with the Fermilab mission. Awards for individuals are available up to $50,000 and the award is funded annually by each of the 89 URA member institutions. Applications to the program are evaluated on the scientific merit of the applicant’s proposed activity and the cost-effectiveness of the proposal. Applications are accepted during the fall and spring each year. Learn more about the Visiting Scholars Program.